A few months back, I wrote a post about calculating our 2018 “FREE Money” … as many people in the FI community like to call it. What the heck is FREE Money and how much can I get? The term refers to how much free money you are allowed to make, before you have to start paying federal taxes on it. Or better said … the income that you can earn before the IRS starts taxing it. This free money is completely legal and is something that I ignored (unfortunately) for many years. The good news is that I have learned a ton about taxes (and am still learning) over the past year from others in the personal finance community. And even better … I have taken action and made changes to how our income is taxed. The post I wrote last fall covered our free money calculation based on the old tax law. At the time, we knew things were changing with the federal tax code … but I still felt it was a good exercise to walk myself through. FYI … I am a huge believer in learning “hands on” where numbers come from when it comes to personal finances. 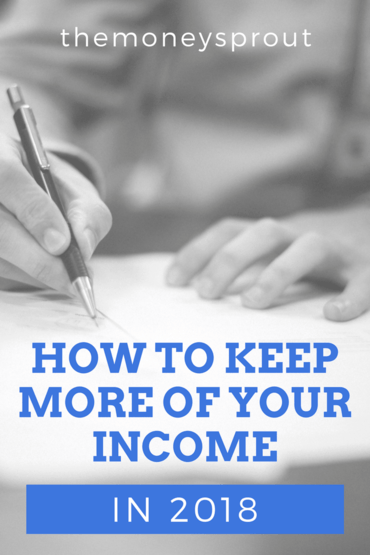 Understanding where your income is going and how you are taxed on it is no exception. So we went through our 2018 calculation with the understanding that it would likely change. And now that the new tax code is out, I would like to update how we are REALLY calculating our 2018 free money. The goal in this calculation is to figure out how much income we can earn without paying any federal taxes on it. Based on the results, our family can then take action to keep as much of our income as possible and put it to work building our net worth. My wife and I are a single income household with 3 children. We have always filed our taxes as Married Filing Jointly since we have been married. For years, my wife and I would always take the itemized deduction on our tax return. We pay property taxes on our home and interest on our mortgage … which were always deductible. In addition, we would donate a ton of clothing (mostly children’s) to local charity’s throughout the year for additional tax deductions. Well … 2017 will be the last year for that type of itemized deduction. The good news however is that the required standard deduction will increase from $13,000 to $24,000. In the past … our itemized deductions were normally around $16,000. While higher than the old standard deduction ($13,000), that is way below the new standard deduction ($24,000). For our situation, this is a good start towards earning more FREE Money. Remember I said there are only 2 ways to reduce our federal taxes in 2018? Well this one went bye bye. In our previous 2018 calculation, we would have had personal exemptions of $20,750 … but not anymore. On the surface, this looks like a big concern … but in reality, it is okay (for us) because of increases to #1 and #3 on this list. Fortunately, in our situation with 3 children, the new child tax credit will help out a bunch. Starting in 2018, the child tax credit will double from $1,000 to $2,000 per kid. So with 3 kids and the lower tax brackets (10% and 12%), that is a huge tax benefit. Just like last time we ran our calculation, we have to remember there are still tiered tax brackets. For 2018, we only have to worry about the 10% bracket (up to $19,050) and the 12% bracket ($19,051 to $77,400) in our situation. Back in the fall when we last calculated our free money numbers, we still had the older 10% and 15% tax brackets. A quick reminder about the different tax brackets … any income we earn up to $19,050 will be taxed at 10% and all income we earn between $19,051 to $77,400 will be taxed at 12%. For our situation, we don’t have to worry about anything higher than that (for now). So for every child that we have (which is 3) … the federal government now gives you a tax credit of $2,000! This means that the first $2,000 of taxes (at the 10% rate) can be wiped out with this credit. Our first credit actually covers the entire 10% bracket … pretty cool. When I think about how these child tax credits impact our bottom line, I always get a bit confused. That is why I like to write it out so I can see the numbers working. The first credit of $2,000 covers the entire 10% bracket. This is a great start! And to make it even better, we still have another $95 in credit that can be carried forward into the 12% bracket. The remaining $95 of our 1st child tax credit will help us get more free money in the next tax bracket at 12%. This is on the income we earn between $19,051 up to $77,400. So with our remaining kid #1 tax credit, we now get an additional $791.67 of tax free income in the 12% bracket. We calculated this by – ($95 / .12) = $792. Now we can bring in our next two child tax credits which will fill up a bunch of the 12% tax bracket! Our second $2,000 credit in the 12% bracket will get us an additional $16,666.67 of tax free income based on this calculation – ($2,000 / .12) = $16,666.67. Since we haven’t filled up the entire 12% tax bracket yet, our child tax credit #3 will be the same as #2. Our third $2,000 credit in the 12% bracket will get us an additional $16,666.67 of tax free income based on this calculation – ($2,000 / .12) = $16,666.67. After calculating each child tax credit, we can wipe out another $53,175 of income that won’t be taxed next year! Just for a quick comparison, the old tax code gave us a child tax credit of $26,350. So as you can tell, the doubling of the child tax credit will have a huge benefit on our taxes. And this will more than make up for the elimination of the personal exemptions. So now that we know where our UPDATED deductions and credits will come from in 2018, we can easily calculate our income that won’t have any federal tax. FYI … the old tax code gave us $60,100 in free money for 2018. The new tax code bumps that number by $17,075. Just like last time, I would suggest checking out the 2018 Free Money Tax Tables by The Millionaire Educator. If you are at all confused about how the credits and tax breaks impact your situation, these tax tables will really help you understand. So we now know that our total tax free money for 2018 has increased to $77,175. But what does that really mean? Well, it is actually very simple … our first $77,175 of adjusted gross income will not have any federal income tax! Anything earned over that amount would be taxed. So if we were to earn $80,000 in adjusted gross income next year … we would pay 12% tax on anything up to $77,400, which would be the first $225 ($77,400 – $77,175). The remaining $2,600 of that $80,000 would be taxed in the next bracket (22%). With careful planning, we can now tweak our adjusted gross income down enough to pay close to $0 in federal taxes for 2018! That is why it is so important to calculate your FREE Money totals. Stay tuned for a future post on our plan to pay $0 to very little federal tax in 2018. 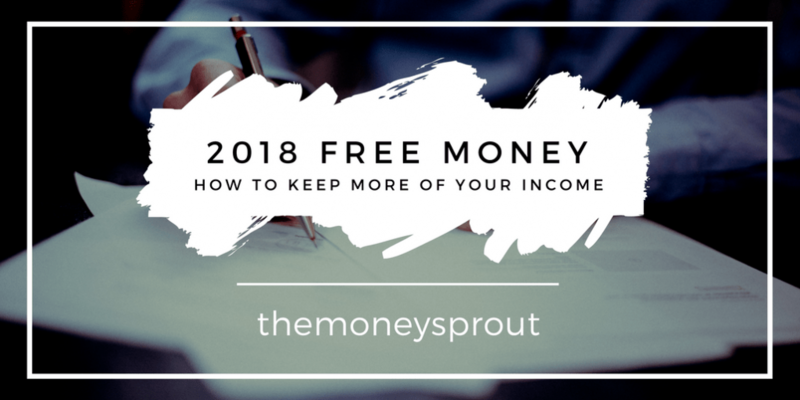 Have you calculated your FREE Money amount for 2018? I strongly suggest you calculate it out so you can maximize your taxes.